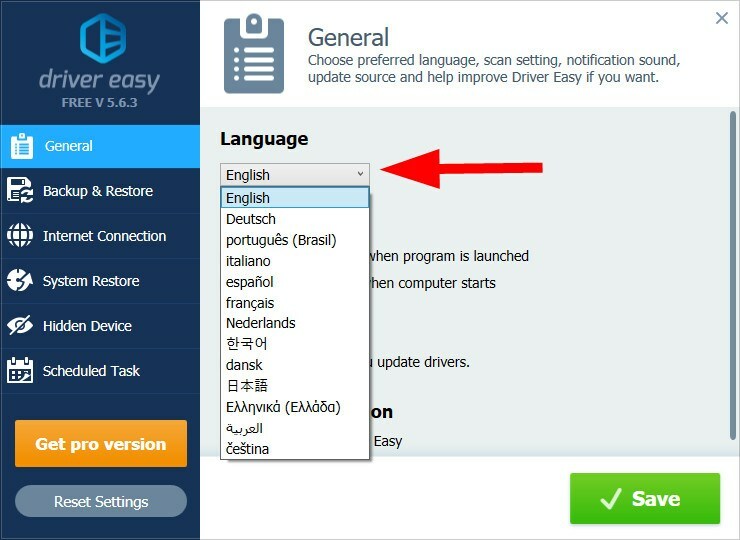 You can edit the general program settings of Driver Easy, such as the language, scan and notification settings, to suit your needs. 2) Edit the general settings you want. 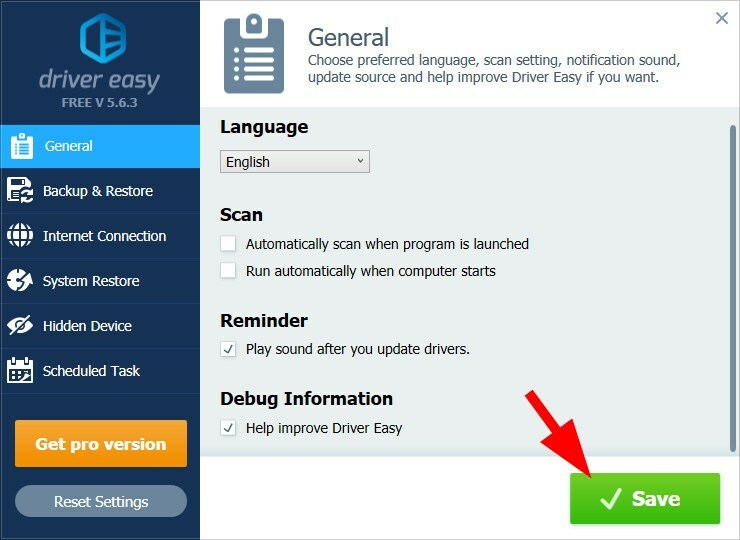 Language: You can change the display language of Driver Easy. 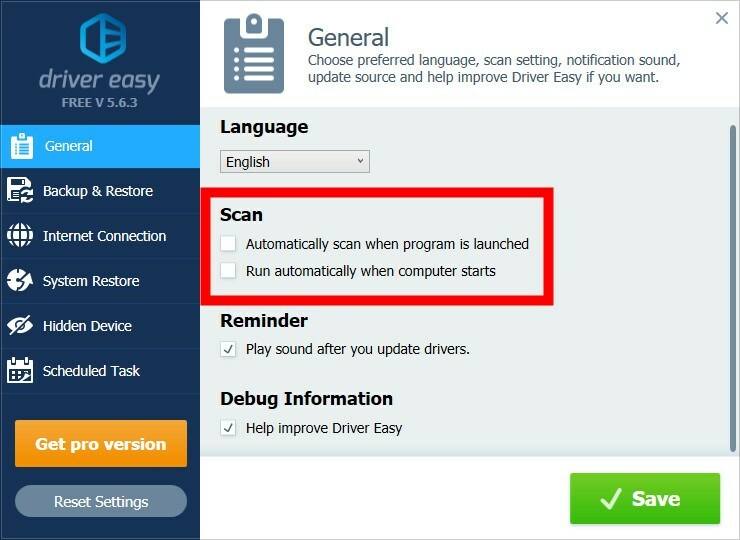 Scan: You can decide whether you want Driver Easy to automatically scan your computer when you launch it, and whether you want Driver Easy runs automatically when your computer starts. 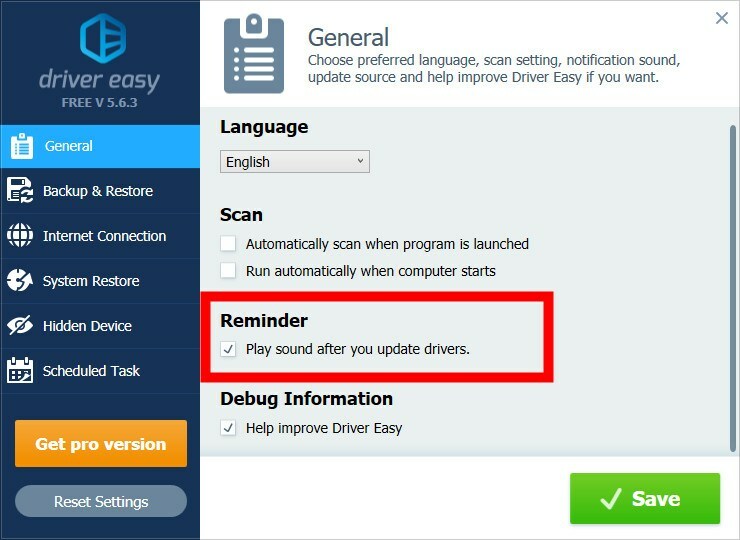 Reminder: Choose whether or not to play sound to notify you when you’ve updated your drivers. 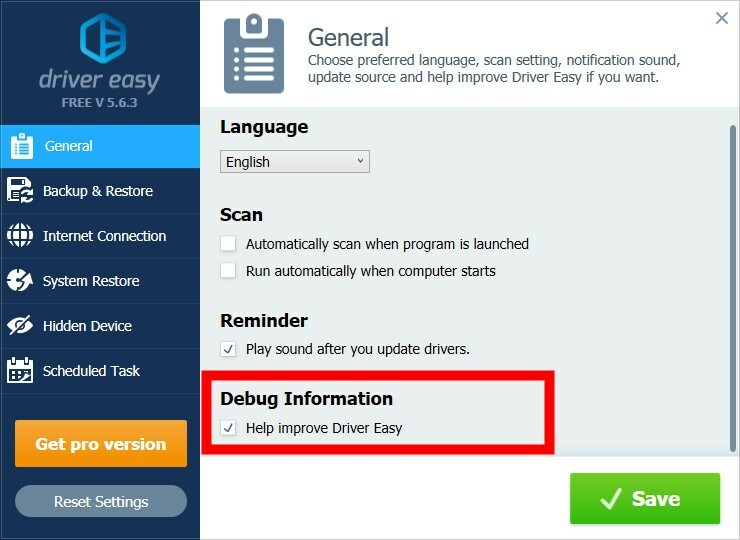 Debug Information: If this setting is enabled, you help us improve Driver Easy by providing us with your hardware information. 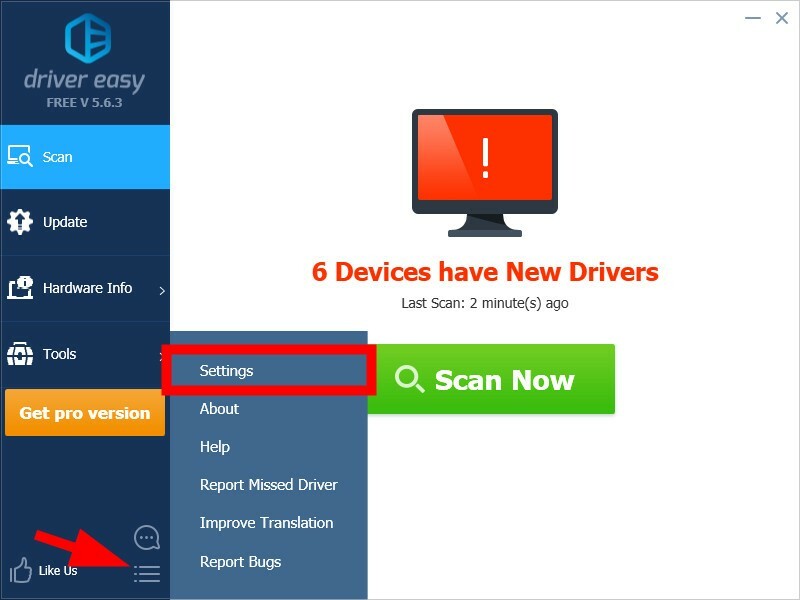 Your information will be transferred securely and anonymously, and we won’t use it to identify you personally or contact you.